Today in The Fort we welcome the lovely Lindsay Eland, who truly is one of the kindest authors I've met to date. She has a precious outlook on life, family, and BAKED GOODS. About Lindsay: I am married to a man with a smile so wide it makes his eyes water and take on the shape of half moons. 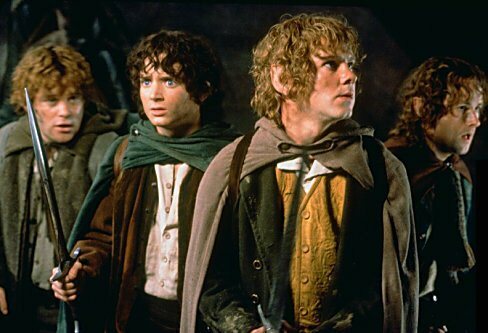 Together we have four kids who make every day an adventure in love, in laughter, in mystery, and in wonder. About SCONES AND SENSIBILITY: Twelve-year-old Polly Madassa is convinced she was born for a more romantic age. A time when Elizabeth Bennet walked along the stone halls of Pemberley, arm in arm with her one true love, Mr. Darcy. A time when Anne Shirley gazed out at the wild seas off Prince Edward Island with her bosom friend, Diana, beside her. A time when a distinguished gentleman called upon a lady of quality, and true love was born in the locked eyes of two young lovers. But alas…Polly was born in 21st Century New Jersey. This, however, does not hinder our young heroine from finding romance wherever she can conjure it up. So while Polly is burdened with the summer job of delivering baked goods from her parents’ bakery to the people in her small beach town (how delightfully quaint), she finds a way to force…um…encourage romance to blossom. Indeed, Polly is determined to bring lovers, young and old, together…whether they want to be or not. Is there any other comfort food besides chocolate? I think not! Touch football with my family was a favorite of mine growing up. Right now, with the three or so feet in our yard already, I’m gonna go with old fashion sledding! Definitely fleece. The Snuggie is extremely tempting, but I am absolutely positive that if I put one on, I’d be so warm---and dare I say---snuggly, that it would be hard for me to take off ever again…and well, Snuggies aren’t necessarily perfect for an author photo on the inside cover of my book. actually hot pink/fuscia camouflage…now I’m onto something there. Fluffy socks—they are perfect for ice skating on our hardwood floor. I have yet to try a triple sow-cow in them though. Well, mocha’s are a year-round favorite of mine, but I do confess that I crave hot apple cider daily in the fall and winter. I used to be able to do ghost stories…no more. I realized this when I watched Ghost in the Darkness (about those crazy lions in Africa) and didn’t sleep because I was afraid of lions slipping into my house and dragging me off into the woods. Ghost stories from slumber parties past, it was the usual Bloody Mary gig…terrifying to me still. I’m such a scaredy cat. Truth...definitely truth. And honestly if you think about it, it’s more daring to tell the truth and be honest with yourself and others than it is to moon a car or sky dive. Jane Erye. Mr. Rochester is swoon-worthy for sure. Who's the ideal mascot (sometimes cute boys, or that one time, a unicorn) for The Fort and why? Completely burnt to a gooey, blackened crisp. I’m heartless with any marshmallow. Burn baby, burn! You know, I’m actually one of those in-betweeners. I can stay up late or fall asleep early. It’s during the afternoon between 2 and 4 that I most want to curl up on the couch and fall asleep. Absolutely. I’m always up for a practical joke (just ask my sister who still says that she has a hard time going into a bathroom or opening a closet door). Oh NO, just one? But I have so many authors that I’d like to hear stories from?! But if you’re forcing me, I’d have to say…hmmm…Richard Peck. He’s witty, hilarious, brilliant and writes for both MG and YA. YAY! Thanks for visiting, Lindsay! 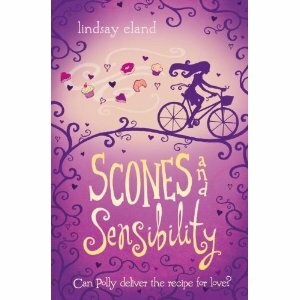 To celebrate the paperback release of SCONES AND SENSIBILITY, I'm giving a copy away! Just enter to win below! Actually, I'm not sure if this is open internationally. If it isn't just ignore my entry! :) But I would love a chance to read Scones and Sensibility. This book sounds like so much fun I'm going to have to check it out! I love Lindsay's choice of mascots, who doesn't love a hobbit?! Great interview and the book sounds awesome. Thanks for the chance to win it! Found you on twitter. Following you now. Great interview!